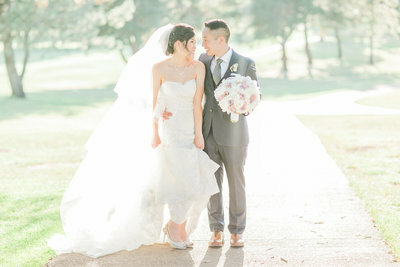 At Evonne & Darren Photography, we take a modern fine art approach to photographing weddings and portraits. 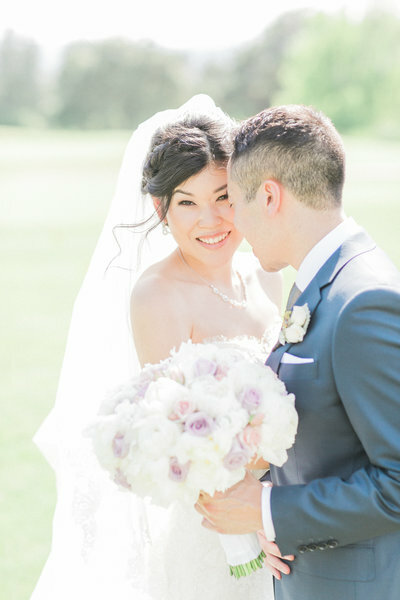 We work in both film & digital mediums to achieve a bright, airy, romantic aesthetic with pastel-like colors. 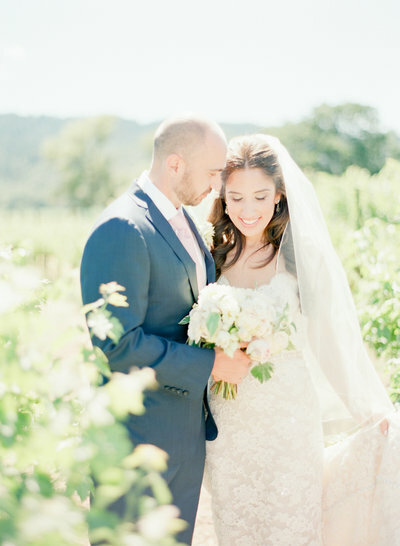 Our photographic style works beautifully with outdoor sunlit locations, inspired in part from living in both Sonoma Wine Country and Hawaii, with its scenic vistas from rugged coastlines to rustic Napa/Sonoma vineyards. 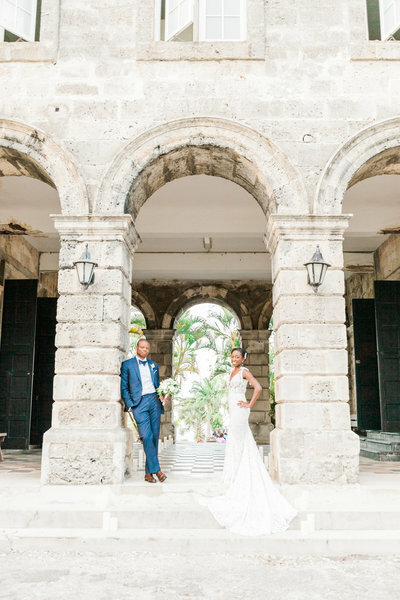 From international destinations to intimate local weddings, we will capture the beauty and priceless moments of your event, and provide directions in a way that encourage you to interact authentically. If you also share a love for natural light, stylish details, design and decor with a romantic aesthetic, we would be delighted to chat with you about our services. We are so glad to see you here! 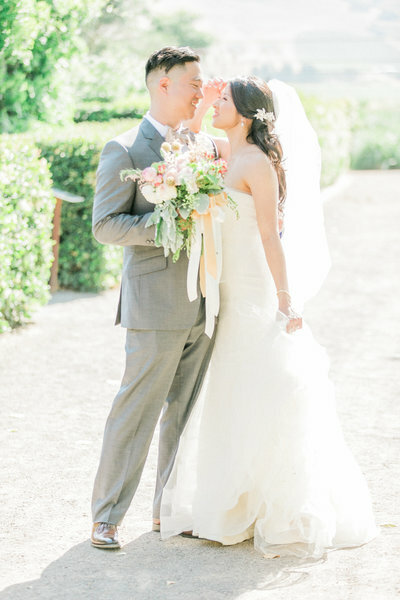 We absolutely adore the romantic ambience of outdoor weddings with soft beautiful sunlight and natural landscapes. 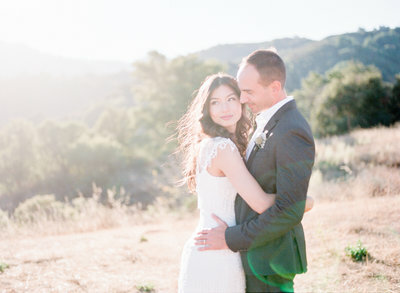 There is just something really special about weddings in the great outdoors that are truly stunning and magical, whether you choose a vineyard/winery, barn, rustic field, farm, garden, beach or beach-front lawn, the possibilities are endless... it just works so well with our bright and airy aesthetics. 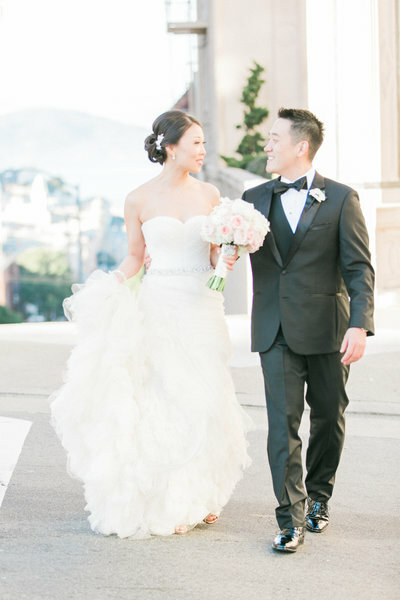 We can't wait to hear all about your wedding day vision! We offer 2 popular full wedding day collections to build from. Starting with 8 hours of coverage, you can personalize your collections by adding extra hours of coverage or a custom designed heirloom wedding album. Contact us for more information and check our availability. 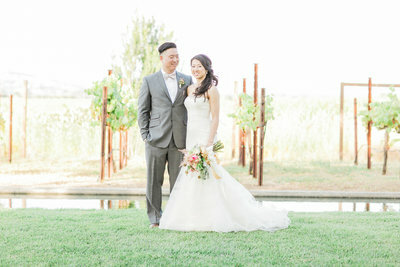 Our weekday intimate weddings and elopements coverage at Sonoma and Napa Valley wine country starts with 2 hours of photography that usually begins half-hour prior to your ceremony time. 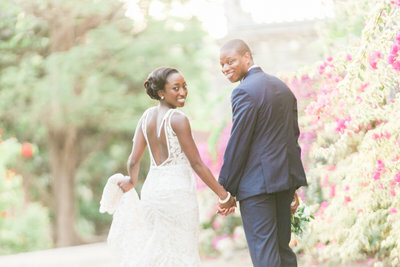 Many of our couples take advantage of the beautiful scenery by extending this coverage to include portraits after the ceremony. Please inquire with your ceremony time, date, and budget for more information on our coverage and availability. We also offer engagement sessions prior to the wedding day, and couple portrait sessions after the wedding - honeymoon, anniversary or any reason. Yes, please! We have photographed weddings worldwide and adore capturing the ambiance and beauty of interesting places and we would love to hear more about your plans so we can provide you with a detailed travel proposal. Just let us know your wedding date, along with your ceremony and reception locations. YOUR LOVE IS TIMEleSS. LET'S MAKE IT LAST FOREVER. Your classic style has an understated elegance and perhaps a sense of tradition, but with a timeless feel. That's how we'd like to document your special day, so that 30 years from now when you look at your wedding images, they are still classic and timeless. Your love and your marriage is a legacy that will pass on and inspire the many generations to come... from your children to your grandchildren. Those are the moments we will capture and freeze in time for your grandchildren to find one day! Sometimes it's the little details that make your wedding day special and uniquely you! Let both of your personalities shine by including some of your favorite details at your wedding. We LOVE photographing them! SOMEONE WILL NOTICE. SOMEONE ALWAYS DOES. THERE'S NOTHING MORE BEAUTIFUL THAN GREAT LIGHT. It's true... the hours prior to sunset is absolutely magical and it's every photographer's dream to be able to spend that time with the bride and groom. So be sure to build that in on your wedding day timeline. 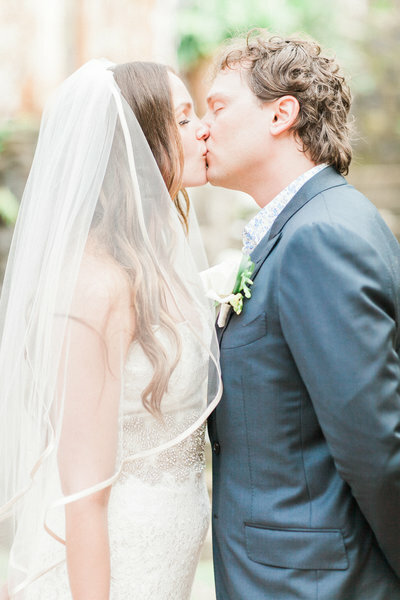 "We Really Enjoyed the Photos. THanks again for everything!" "THERE'S NO ONE ELSE WE WOULD TRUST WITH OUR DAY!" 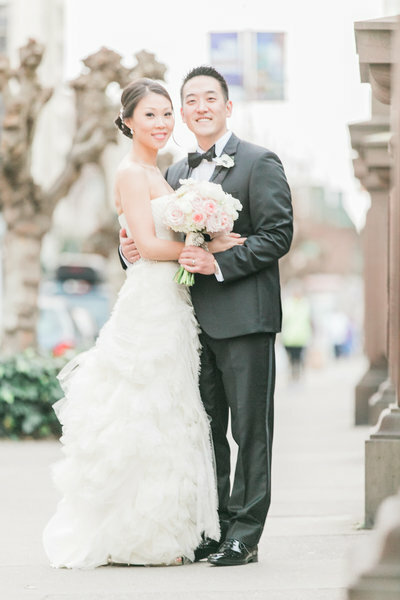 "Thank you, Evonne and Darren! Beautiful photoS. We Love Them!" "Our engagement and wedding photos are absolutely beautiful!!!!" "OMG, when we got back our photos, we were SO IN LOVE!" could have ever asked for!"